As the site of the original legend of “El Dorado”, Colombia has a long and rich history of drawing out the unparalleled beauty of gold. Our artisans recover the sacred meaning of this metal for pre-Columbian tribes – A symbol of holiness and life that evokes the magic of the cosmos. Pure Colombian gold glitters like no other when caught in the light, as though mirroring the divine power of the sun. Tapping into the rich heritage of gold mining in the region, Amalena partners with traditional artisans who utilize methods passed down over dozens of generations to create our unique jewelry. Each piece tells a story, imbued with the indigenous fables and infinite skill of each craftswoman. 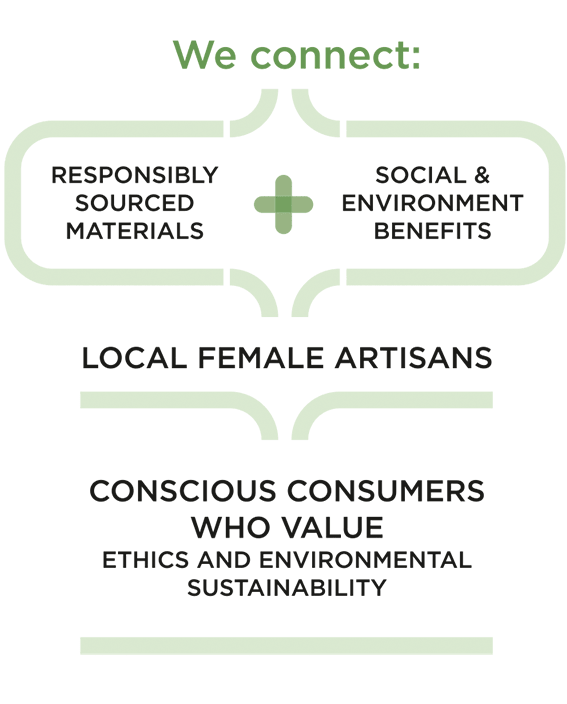 At Amalena, we are committed to both environmental and economic sustainability in the jewelry industry. We go beyond clean gold mining to bring income opportunities and independence for women of the mining community. Our ecological extracted gold is entrusted solely to experienced female members of the local cooperative of goldsmiths. Through this partnership, Amalena gives these women recognition, protection, and an opportunity to express their cultural identity and traditional skills. Most artisans in small or remote communities must juggle multiple occupations in order to sustain their families and incomes. With Amalena, these skillful women are also given the opportunity for a steady income and empowerment while honoring their heritage and honing their trade.